Let’s take a deeper look into the good and the bad of these clubs. When it is time for some calculated fun that requires you to walk quite some distance while you pause for that perfect shot, you need the best golf kit in town, to ensure you land all your shots, where you intended to. When you put in the same effort but can get those shots to go longer, are you getting a better game or lesser exercise? High Forgiveness – No matter how bad your shots are, these clubs will make up for it and improve your shots. It compensates even bad swings, thus making it suitable for the learners and those who want to improve their game. The graphite option offers the user a lighter club as steel clubs are heavier. If you are a senior or have joint pains, these clubs could relieve you of some pain that is caused by using heavy clubs for hours together. The increased length also enables one to hit the ball from a distance, thus making up for misjudged distance. The ultra thin face and the inverted cone technology enables consistency when it comes to the speed of the ball. The ball maintains a uniform speed throughout the shot. The game improvement designing offers great forgiveness on shots missed and helps a player improve their game consistently. Everyone wants to improve and when your gear can help you do that, it could be a wise investment. When you hit off center, the speed pocket feature enables you to improve your performance and it also preserves the ball speed. Hence with your regular shots, you can perform better and the clubs will do all the extra work for you. These clubs are highly preferred for their accuracy. If you are a person who is still improving your game and want to improve your accuracy and reduce the misses, these irons may be the right ones for you. Golf is not like athletics. Here your gear matters, appearance is important in this gentleman’s sport. Keeping this in mind TaylorMade has done justice to the design of the clubs, making them look very stylish and sleek. For those of you who prefer good looks in addition to performance, these clubs could be what you are looking for. 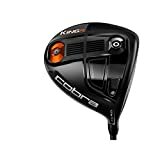 Since the design and weight distribution is different when compared to the regular clubs in the market, it may take some time to getting used to. One may not be able to land their shots precisely the first time. It is suitable for amateurs and the older players, who don’t want to risk joint injury due to heavy clubs. The graphite version of these clubs are light and hence makes it easy on your wrists even when used for a long period of time. The M2 are not the only Irons in the market, in fact TaylorMade itself has many models. Here is how the M2 fares against other Golf clubs in the market and why it may be the one for you. This set has everything a player would want – the style, design, appeal and light weight. It is designed in such a way that even if you make mistakes, the number of misses will be less. That is how forgiving these irons are. These Irons are easy to use and are quite accurate. However, the number of misses would be more in this set and the ball does not travel the same distance as with the M2. It is a mixed set with different designs, angles and length, thus making it hard for a beginner to use it. This is because only a well experienced player can alter their shots and angles according to the design of the club. This set is priced more than two times the price of M2. It is designed for freestyle players but has very little room for errors. There is only a small cavity that accommodates errors, hence one needs to be precise in their shots. The design is thin, right from top to bottom, like a blade and feels like the old fashioned irons. If you are looking for a premium quality set that is designed for the experienced players and has the same old designing appeal, these could be the ones for you. 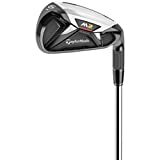 If you are looking for a well designed golf set made of graphite, to improve your game, the TaylorMade M2 could be the one for you.